The Codex Amiatinus is the earliest surviving complete manuscript of the Latin Vulgate version of the Christian Bible. It was produced around 700 C.E. 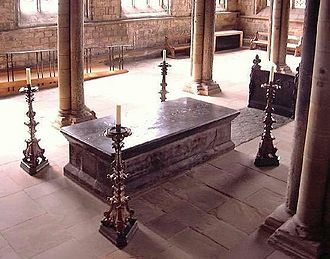 in the north-east of England, at the Benedictine monastery of Monkwearmouth–Jarrow in the Anglo-Saxon Kingdom of Northumbria and taken to Italy as a gift for the Pope in 716. It was one of three giant single-volume Bibles then made at Monkwearmouth–Jarrow, and is the earliest complete one-volume Latin Bible to survive, only the León palimpsest being older; and the oldest bible where all the biblical books present what would be their Vulgate texts. It is named after the location in which it was found in modern times, Mount Amiata in Tuscany, at the Abbazia di San Salvatore and is now kept at Florence in the Biblioteca Medicea Laurenziana (Amiatino 1). Designated by siglum A, it is commonly considered to provide the most reliable surviving representation of Jerome's Vulgate text for the books of the New Testament, and most of the Old Testament. As was standard in all Vulgate bibles until the 9th century, the Book of Baruch is absent as is the Letter of Jeremiah, the text of the Book of Lamentations following on from the end of Jeremiah without a break. 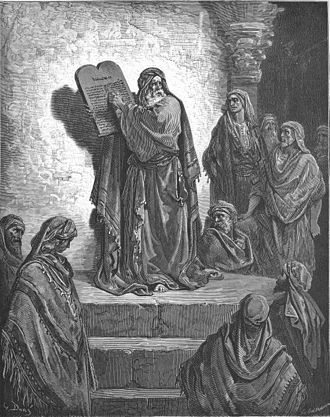 Ezra is presented as a single book, the texts of the later canonical books of Ezra and Nehemiah being continuous. Similarly the books of Samuel, Kings and Chronicles are each presented as a single book. In 2018 the Codex Amiatinus was loaned to the British Library for an exhibition of Anglo-Saxon manuscripts, returning to England for the first time in 1,300 years. The symbol for it is written am or A (Wordsworth). It is preserved in an immense tome, measuring 19 1⁄4 inches (49 cm) high, 13 3⁄8 inches (34 cm) in breadth, and 7 inches (18 cm) thick, and weighs over 75 pounds (34 kg) – so impressive, as Hort says, as to fill the beholder with a feeling akin to awe. The Book of Psalms is provided in Jerome's third version, translated from the Hebrew, rather than in the pre-Jerome Roman Psalter then standard in English bibles, or in Jerome's second, Gallican version, that was to supplant his Hebraic Psalms in most Vulgate bibles from the 9th century onwards. By contrast with case in most of the rest of the Old Testament, the Amiatinus psalms text is commonly considered an inferior witness of Jerome's Versio juxta Hebraicum; the presence of the 'Columba' series of psalm headings, also found in the Cathach of St. Columba, demonstrates that an Irish psalter must have been its source; but the text differs in many places from the best Irish manuscripts. The New Testament is preceded by the Epistula Hieronymi ad Damasum, Prolegomena to the four Gospels. The Codex Amiatinus qualifies as an illuminated manuscript as it has some decoration including two full-page miniatures, but these show little sign of the usual insular style of Northumbrian art and are clearly copied from Late Antique originals. It contains 1040 leaves of strong, smooth vellum, fresh-looking today despite their great antiquity, arranged in quires of four sheets, or quaternions. It is written in uncial characters, large, clear, regular, and beautiful, two columns to a page, and 43 or 44 lines to a column. A little space is often left between words, but the writing is in general continuous. The text is divided into sections, which in the Gospels correspond closely to the Ammonian Sections. There are no marks of punctuation, but the skilled reader was guided into the sense by stichometric, or verse-like, arrangement into cola and commata, which correspond roughly to the principal and dependent clauses of a sentence. From this manner of writing the script is believed to have been modeled upon the Codex Grandior of Cassiodorus, but it may go back, perhaps, even to St. Jerome. Page with dedication; "Ceolfrith of the English" was altered into "Peter of the Lombards"
Originally three copies of the Bible were commissioned by Abbot Ceolfrid in 692. This date has been established as the double monastery of Monkwearmouth–Jarrow secured a grant of additional land to raise the 2000 head of cattle needed to produce the vellum. Bede was most likely involved in the compilation. In 716, Ceolfrid accompanied one copy, the Codex Amiatinus, intended as a gift to Pope Gregory II, but he died en route to Rome on 29 September 716 at Langres, Burgundy. The book later appears in the 9th century in Abbey of the Saviour, Mount Amiata in Tuscany (hence the description "Amiatinus"), where it is recorded in a list of the Abbey's relics dated 1036, describing it as being an Old and New Testament 'written in the hand of the blessed Pope Gregory'. It remained in the San Salvatore Monastery until 1786 when it passed to the Laurentian Library in Florence. The dedication page had been altered and the principal librarian to the Laurentian, Angelo Maria Bandini suggested that the author was Servandus, a follower of St. Benedict, and that it had been produced at Monte Cassino around the 540s. This claim was accepted for the next hundred years, establishing it as the oldest copy of the Vulgate, but scholars in Germany noted the similarity to 9th-century texts. In 1888, Giovanni Battista de Rossi established that the Codex was related to the Bibles mentioned by Bede. This also established that Amiatinus was related to the Greenleaf Bible fragment in the British Library. Although de Rossi's attribution removed 150 years from the age of the Codex, it remains the oldest version of the Vulgate. As the primary source of the Vulgate, the manuscript was of particular importance to the Catholics during the Counter-Reformation. Protestant translations derived from the original language of the Scriptures, but the Latin text of the Amiatinus was earlier than any then-known Hebrew manuscript, making it a "major piece of propaganda in the battle for textual precedence". In 1587 Pope Sixtus V demanded the book be sent to Rome where it was consulted for a new papal edition of the Bible, the Vulgata Sixtina; although in the event, little or no use was made of its readings in either the Sistine or subsequent Sixto-Clementine official Vulgate editions, whose editors rather preferred later medieval Vulgate texts and editions now known to have been heavily corrupted by non-Vulgate readings. In view of the many accumulated corruptions in all published editions of the Vulgate so far, the Oxford University Press accepted in 1878 a proposal from classicist John Wordsworth (later Bishop of Salisbury) to produce a new critical edition of the Vulgate New Testament. This was eventually published as Nouum Testamentum Domini nostri Iesu Christi Latine, secundum editionem sancti Hieronymi in three volumes between 1889 and 1954; the Codex Amiatinus being a primary source for the entire text; which also followed this manuscript in presenting the text in sense lines, cola et commata without any other indication of punctuation. In 1907 Pope Pius X commissioned the Benedictine monks in Rome to prepare a critical edition of Jerome's Vulgate, entitled Biblia Sacra iuxta latinam vulgatam versionem, which eventually emerged as a counterpart Old Testament to the Oxford New Testament, following largely the same critical principles, and according similar primary status to the Codex Amiatinus text (other than for the Psalms); and similarly deriving its layout, cola et commata from Amiatinus. Ceolfrid Bible – almost certainly a surviving portion of one of the other two single-volume Bibles ordered made by Ceolfrid for the double monastery of Monkwearmouth–Jarrow. ^ a b c Bruce M. Metzger, The Text of the New Testament (Oxford University Press 2005), p. 106. ^ a b c d One or more of the preceding sentences incorporates text from a publication now in the public domain: Fenlon, John Francis (1908). "Codex Amiatinus" . In Herbermann, Charles. Catholic Encyclopedia. 4. New York: Robert Appleton. ^ Biblia Sacra iuxta vulgatam versionem. Robert Weber, Roger Gryson (eds.) (5 ed.). Stuttgart: Deutsche Bibelgesellschaft. 2007. ISBN 978-3-438-05303-9. ^ The Biblical Canon Lists of Early Christianity. Edmon. L. Gallagher, John. D. Meade. Oxford: OUP. 2017. p. 258. ^ "Behemoth Bible returns to England for first time in 1,300 years". The Guardian. London. 18 October 2018. ^ H. J. White, The Codex Amiatinus and its Birthplace, in: Studia Biblica et Ecclesiasctica (Oxford 1890), Vol. II, p. 273. ^ Richard Marsden, Amiatinus, Codex, in: Blackwell encyclopaedia of Anglo-Saxon England, ed. Michael Lapidge,John Blair,Simon Keynes, Wiley-Blackwell, 2001, s. 31. ^ Dom John Chapman, The Codex Amiatinus and the Codex grandior in: Notes on the early history of the Vulgate Gospels, Clarendon Press, Oxford 1908, pp. 2–8. ^ Wordsworth, John (1883). The Oxford critical edition of the Vulgate New Testament. Oxford. p. 4. ^ Watson, E.W. (1915). Life of Bishop John Wordsworth. London: Longmans, Green. ^ Biblia Sacra iuxta latinam vulgatam versionem. Pontifical Abbey of St Jerome-in-the-City (ed.). Rome: Libreria Editrice Vaticana. 1926–95. ISBN 978-8820921286. 18 vols. Chapman, John (1908). Notes on the early history of the Vulgate Gospels. Oxford: Clarendon Press. Retrieved 2015-12-13. Chazelle, Celia (2003). "Ceolfrid's gift to St Peter: the first quire of the Codex Amiatinus and the evidence of its Roman destination". Early Medieval Europe. 12 (2): 129–157. doi:10.1111/j.0963-9462.2004.00124.x. ISSN 1468-0254. Corsano, Karen (1987). "The First Quire of the Codex Amiatinus and the Institutiones of Cassiodorus". Scriptorium. 41 (1): 3–34. doi:10.3406/scrip.1987.1462. ISSN 0036-9772. Retrieved 2015-12-13. Meyvaert, Paul (1996). "Bede, Cassiodorus, and the Codex Amiatinus". Speculum. 71 (4): 827–883. doi:10.2307/2865722. ISSN 0038-7134. JSTOR 2865722. Meyvaert, Paul (2005). "The date of Bede's In Ezram and his image of Ezra in the Codex Amiatinus". Speculum. 80 (4): 1087–1133. doi:10.1017/S0038713400001366. ISSN 2040-8072. Retrieved 2015-12-04. Sanday, W. (1890). "On the Italian origin of the Codex Amiatinus and the localizing of Italian MSS.". Studia Biblica et ecclesiastica: essays chiefly in Biblical and patristic criticism. 2. Oxford: Clarendon Press. pp. 309–324. Tischendorf, Constantinus von (1850). Novum Testamentum Latine interprete Hieronymo: ex celeberrimo Codice Amiatino. Leipzig: Avenarius et Mendelssohn. Retrieved 2015-12-04. White, H.J. (1890). 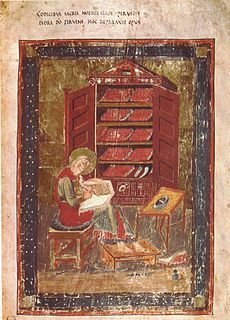 "The Codex Amiatinus and its birthplace". Studia Biblica et ecclesiastica: essays chiefly in Biblical and patristic criticism. 2. Oxford: Clarendon Press. pp. 273–308. 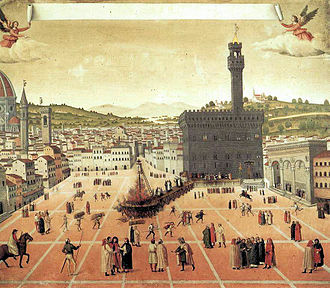 The City and the Book: International Conference Proceedings, Florence, 2001. Makepeace, Maria. "The 1,300 year pilgrimage of the Codex Amiatinus". Umilta Website. Retrieved 2006-06-07. Contains link to facsimile project, as well. de Hamel, Christopher (2016). Meetings with Remarkable Manuscripts. Allen Lane. ISBN 978-0-241-00304-6. Wikimedia Commons has media related to Codex Amiatinus. David Dimbleby. "Age of Conquest". Seven Ages of Britain. 33:38 minutes in. BBC 1. Retrieved 21 Nov 2010. The Cambridge History of the Bible, Cambridge University Press 2008, pp. 117–119, 130. More information at Earlier Latin Manuscripts. Benedict of Nursia is a Christian saint, who is venerated in the Eastern Orthodox Churches, the Catholic Church, the Oriental Orthodox Churches, the Anglican Communion and Old Catholic Churches. He is a saint of Europe. Benedict founded twelve communities for monks at Subiaco, Lazio in Italy, the Order of Saint Benedict is of origin and, not an order as commonly understood but merely a confederation of autonomous congregations. Benedicts main achievement is his Rule of Saint Benedict, containing precepts for his monks and it is heavily influenced by the writings of John Cassian, and shows strong affinity with the Rule of the Master. But it has a spirit of balance and reasonableness. As a result, his Rule became one of the most influential religious rules in Western Christendom, for this reason, Benedict is often called the founder of western monasticism. The authenticity of this work has been disputed, especially by Dr Francis Clarke in his two volume work The Pseudo-Gregorian Dialogues. Book Two consists of a prologue and thirty-eight succinct chapters, gregory’s account of this saint’s life is not, however, a biography in the modern sense of the word. It provides instead a spiritual portrait of the gentle, disciplined abbot, in a letter to Bishop Maximilian of Syracuse, Gregory states his intention for his Dialogues, saying they are a kind of floretum of the most striking miracles of Italian holy men. Gregory did not set out to write a chronological, historically anchored story of Saint Benedict, but he did base his anecdotes on direct testimony. These followers, he says, are Constantinus, who succeeded Benedict as Abbot of Monte Cassino, Valentinianus and Honoratus, who was abbot of Subiaco when St Gregory wrote his Dialogues. Gregory’s Dialogues Book Two, then, a medieval hagiography cast as a conversation between the Pope and his deacon Peter, is designed to teach spiritual lessons. He was the son of a Roman noble of Nursia, the modern Norcia, a tradition which Bede accepts makes him a twin with his sister Scholastica. If 480 is accepted as the year of his birth, the year of his abandonment of his studies, Saint Gregorys narrative makes it impossible to suppose him younger than 19 or 20 at the time. Uncial is a majuscule script commonly used from the 4th to 8th centuries AD by Latin and Greek scribes. Uncial letters were used to write Greek and Gothic, early uncial script is likely to have developed from late Old Roman cursive. In the oldest examples of uncial, such as the De bellis macedonicis manuscript in the British Library, all of the letters are disconnected from one another, word separation, however, is characteristic of uncial usage. As the script evolved over the centuries, the became more complex. Specifically, around AD600, flourishes and exaggerations of the basic strokes began to appear in more manuscripts and descenders were the first major alterations, followed by twists of the tool in the basic stroke and overlapping. By the time the more compact minuscule scripts arose circa AD800, some of the evolved uncial styles formed the basis for these simplified, uncial was still used, particularly for copies of the Bible, tapering off until around the 10th century. There are over 500 surviving copies of uncial script, by far the largest number prior to the Carolingian Renaissance, in general, there are some common features of uncial script, ⟨f⟩, ⟨i⟩, ⟨p⟩, ⟨s⟩, ⟨t⟩ are relatively narrow. ⟨m⟩, ⟨n⟩ and ⟨u⟩ are relatively broad, ⟨m⟩ is formed with curved strokes ⟨⟩, ⟨e⟩ is formed with a curved stroke, and its arm does not connect with the top curve ⟨⟩, the height of the arm can indicate the age of the script. ⟨l⟩ has a base, not extending to the right to connect with the next letter. ⟨r⟩ has a long, curved shoulder ⟨ꞃ⟩, often connecting with the next letter, ⟨s⟩ resembles the long s ⟨ſ⟩, in uncial it ⟨ꞅ⟩ looks more like ⟨r⟩ than ⟨f⟩. In particular, the bow of the letter ⟨a⟩ is particularly sharp, italian uncial has round letters with flatter tops, and a with a sharp bow, an almost horizontal rather than vertical stem in ⟨d⟩, and forked finials. Insular uncial generally has definite word separation, and accent marks over stressed syllables, probably because Irish scribes did not speak a language descended from Latin. French uncial uses thin descenders, an ⟨x⟩ with lines that cross higher than the middle, and a ⟨d⟩ with a stem, and there are many decorations of fish, trees. Cyrillic manuscript developed from Greek uncial in the ninth century. The earlier form was called ustav, and developed into semi-ustav script, there is some doubt about the original meaning of the word. Uncial itself probably comes from St. Habeant qui volunt veteres libros, vel in membranis purpureis auro argentoque descriptos, vel uncialibus ut vulgo aiunt litteris onera magis exarata quam codices. 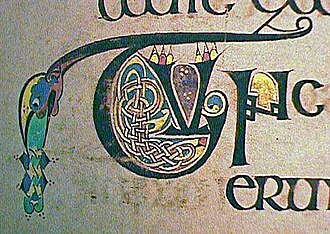 Let those who so desire have old books, or books written in gold and silver on purple parchment, or burdens written in uncial letters, the term uncial in the sense of describing this script was first used by Jean Mabillon in the early 18th century. Pope Gregory II was Pope from 19 May 715 to his death in 731. Born into a noble Roman family in the year 669, Gregory was the son of Marcellus, as a young man, he was placed into the papal court, and was made a subdeacon and sacellarius of the Roman See during the pontificate of Pope Sergius I. Later he was made a deacon and placed in charge of the Vatican Library, after Constantine’s death on 9 April 715, Gregory was elected pope, and was consecrated as Bishop of Rome on 19 May 715. 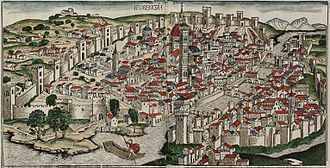 Almost immediately, Gregory began the task of repairing the Walls of Rome, work on this task was delayed in October 716 when the Tiber river burst its banks and flooded Rome, causing immense damage and only receding after eight days. 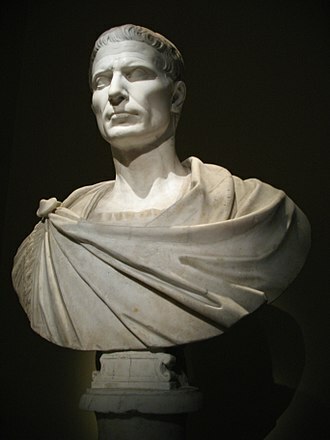 Gregory ordered a number of litanies to be said to stem the floods, which spread over the Campus Martius, Gregory responded by sending a letter outlining the traditional Roman position against Monothelitism. Then in 716, Gregory received a visit from Theodo. Gregory next turned his attention to Germany, in 718, he was approached by an Anglo-Saxon missionary, who proposed undertaking missionary work in Germany. Gregory agreed, and after changing his name to Boniface, commissioned him in May 719 to preach in Germany, after hearing of the work that had been done so far, in 722 Gregory summoned Boniface back to Rome to answer rumours concerning Boniface’s doctrinal purity. After examining Boniface’s written profession of faith, Gregory was satisfied enough that he made Boniface a bishop in November 722, Gregory strengthened papal authority in the churches of Britain and Ireland. In 726 Gregory had a visit from Ine, the former King of Wessex. Gregory concerned himself with establishing or restoring monasteries, in 721, Gregory held a synod in Rome, for the purpose of fixing issues around illegitimate marriages. Then in 723, the dispute between the patriarchs of Aquileia and Grado flared up again. Upon the request of the Lombard king, Gregory had given the pallium to Bishop Serenus, at the same time, Gregory reprimanded Donatus for complaining about Gregory’s decision to grant the pallium to Serenus in the first place. The Bible is a collection of sacred texts or scriptures that Jews and Christians consider to be a product of divine inspiration and a record of the relationship between God and humans. Many different authors contributed to the Bible, what is regarded as canonical text differs depending on traditions and groups, a number of Bible canons have evolved, with overlapping and diverging contents. The Christian Old Testament overlaps with the Hebrew Bible and the Greek Septuagint, the New Testament is a collection of writings by early Christians, believed to be mostly Jewish disciples of Christ, written in first-century Koine Greek. These early Christian Greek writings consist of narratives, among Christian denominations there is some disagreement about the contents of the canon, primarily the Apocrypha, a list of works that are regarded with varying levels of respect. Attitudes towards the Bible differ amongst Christian groups and this concept arose during the Protestant Reformation, and many denominations today support the use of the Bible as the only source of Christian teaching. With estimated total sales of over 5 billion copies, the Bible is widely considered to be the book of all time. It has estimated sales of 100 million copies, and has been a major influence on literature and history, especially in the West. The English word Bible is from the Latin biblia, from the word in Medieval Latin and Late Latin. Medieval Latin biblia is short for biblia sacra holy book, while biblia in Greek and it gradually came to be regarded as a feminine singular noun in medieval Latin, and so the word was loaned as a singular into the vernaculars of Western Europe. Latin biblia sacra holy books translates Greek τὰ βιβλία τὰ ἅγια ta biblia ta hagia, the word βιβλίον itself had the literal meaning of paper or scroll and came to be used as the ordinary word for book. It is the diminutive of βύβλος byblos, Egyptian papyrus, possibly so called from the name of the Phoenician sea port Byblos from whence Egyptian papyrus was exported to Greece, the Greek ta biblia was an expression Hellenistic Jews used to describe their sacred books. Christian use of the term can be traced to c.223 CE, bruce notes that Chrysostom appears to be the first writer to use the Greek phrase ta biblia to describe both the Old and New Testaments together. The division of the Hebrew Bible into verses is based on the sof passuk cantillation mark used by the 10th-century Masoretes to record the verse divisions used in oral traditions. The oldest extant copy of a complete Bible is an early 4th-century parchment book preserved in the Vatican Library, the oldest copy of the Tanakh in Hebrew and Aramaic dates from the 10th century CE. 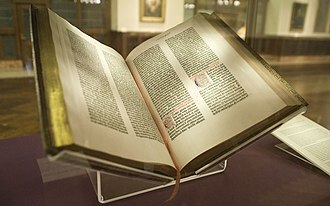 The oldest copy of a complete Latin Bible is the Codex Amiatinus and he states that it is not a magical book, nor was it literally written by God and passed to mankind. In Christian Bibles, the New Testament Gospels were derived from traditions in the second half of the first century CE. Riches says that, Scholars have attempted to reconstruct something of the history of the oral traditions behind the Gospels, the period of transmission is short, less than 40 years passed between the death of Jesus and the writing of Marks Gospel. Eusebian canons, Eusebian sections or Eusebian Apparatus, known as Ammonian Sections, are the system of dividing the four Gospels used between late Antiquity and the Middle Ages. The divisions into chapters and verses used in modern texts date only from the 13th and 16th centuries, the sections are indicated in the margin of nearly all Greek and Latin manuscripts of the Bible, and usually summarized in Canon Tables at the start of the Gospels. There are about 1165 sections,355 for Matthew,235 for Mark,343 for Luke, and 232 for John and it was traditionally believed that he divided the four Gospels into small numbered sections, which were similar in content where the narratives are parallel. In the first nine tables he placed in parallel columns the numbers of the common to the four. In the tenth he noted successively the sections special to each evangelist and these marginal notes are reproduced in several editions of Tischendorfs New Testament. Eusebiuss explanatory letter to Carpianus was very often reproduced before the tables and this form was derived from Late Antique book-painting frames like those in the Chronography of 354. The gospels of Matthew and Luke are known as the Synoptic Gospels, because they include many of the same stories, often in the same sequence. 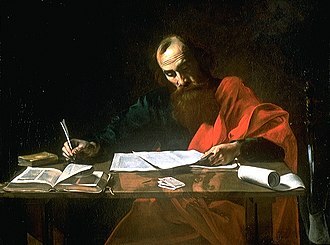 Also known to have written the book of Acts and to have been a friend of Paul of Tarsus, John – a disciple of Jesus. They are called evangelists, an meaning people who proclaim good news. Images normally, but not invariably, appear with wings like angels. e. Man, the king of creation as the image of the creator, the lion as the king of beasts of prey, the ox as the king of domesticated animals and the eagle as the king of the birds. Matthew the Evangelist, the author of the first gospel account, is symbolized by a winged man, matthews gospel starts with Josephs genealogy from Abraham, it represents Jesus Incarnation, and so Christs human nature. This signifies that Christians should use their reason for salvation, Mark the Evangelist, the author of the second gospel account, is symbolized by a winged lion – a figure of courage and monarchy. The lion represents Jesus resurrection, and Christ as king and this signifies that Christians should be courageous on the path of salvation. Luke the Evangelist, the author of the gospel account, is symbolized by a winged ox or bull – a figure of sacrifice, service. Lukes account begins with the duties of Zacharias in the temple, it represents Jesus sacrifice in His Passion and Crucifixion, the ox signifies that Christians should be prepared to sacrifice themselves in following Christ. John the Evangelist, the author of the gospel account, is symbolized by an eagle – a figure of the sky. This symbolizes that Christians should look on eternity without flinching as they journey towards their goal of union with God, each of the symbols is depicted with wings, following the biblical sources first in Ezekiel 1–2, and in Revelation. They were presented as one of the most common found on church portals and apses. 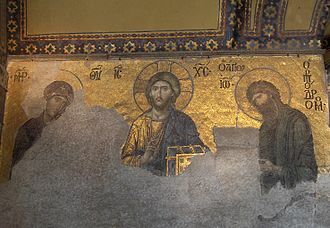 When surrounding Christ, the figure of the man appears at top left – above Christs right hand. Underneath the man is the ox and underneath the lion is the eagle and this both reflects the medieval idea of the order of nobility of nature of the beasts and the text of Ezekiel 1.10. In the Hebrew Bible, Kings is a single book called the Book of Kings. The fourth book of Neviim, the division of the Tanakh. In the Septuagint and Kings was divided into four books and Kings became III, the two Books of Kings presents a history of ancient Israel and Judah from the death of David to the release of Jehoiachin from imprisonment in Babylon, a period of some 400 years. Solomon comes to the throne after Davids death, at the beginning of his reign he assumes Gods promises to David and brings splendour to Israel and peace and prosperity to his people. The centrepiece of Solomons reign is the building of the First Temple, at the end, however, he follows other gods and oppresses Israel. The kings who follow Rehoboam in Jerusalem continue the line of David, in the north, dynasties follow each other in rapid succession. At length God brings the Assyrians to destroy the northern kingdom, Yahweh saves Jerusalem and the kingdom from an invasion by Assyria. But Manasseh, the king, reverses the reforms. Manassehs righteous grandson Josiah reinstitutes the reforms of Hezekiah, but it is too late, speaking through the prophetess Huldah, affirms that Jerusalem is to be destroyed. God brings the Babylonians against Jerusalem, Yahweh deserts his people, Jerusalem is razed and the Temple destroyed, in the original Hebrew Bible First and Second Kings are a single book, as are First and Second Samuel. When this was translated into Greek in the last few centuries BCE, what it is now commonly known as 1 Samuel and 2 Samuel are called by the Vulgate, in imitation of the Septuagint,1 Kings and 2 Kings respectively. What it is now known as 1 Kings and 2 Kings would be 3 Kings and 4 Kings in old Bibles before the year 1516 such as the Vulgate. The division we know today, used by Protestant Bibles and adopted by Catholics, some Bibles still preserve the old denomination, for example, Douay Rheims bible. According to Jewish tradition the author of Kings was Jeremiah, who would have been alive during the fall of Jerusalem in 586 BCE. Scribal abbreviations or sigla are the abbreviations used by ancient and medieval scribes writing in Latin, and in Greek and Old Norse. Modern manuscript editing employs sigla as symbols indicating the location of a source manuscript, lapidaries and copyists made the most of the available writing space. Scribal abbreviations were infrequent when writing materials were plentiful, but by the 3rd and 4th centuries AD, writing materials were scarce and costly. During the Roman Republic, several abbreviations, known as sigla, were in use in inscriptions. Additionally, in this period shorthand entered general usage, the earliest Western shorthand system known to us is that employed by the Greek historian Xenophon in the memoir of Socrates, and called notae socratae. This notation was akin to modern stenographic writing systems and it employed symbols for whole words or word roots and grammatical modifier marks, and could be used to write either whole passages in shorthand or only certain words. However the alphabet notation had an existence as it was often associated with witchcraft and magic. Sigla were mostly used in inscriptions, in some places. The identity and usage of abbreviations is not constant but changes from region to region, Scribal abbreviation increased in usage and reached its height in the Carolingian Renaissance. The most common abbreviations, called notae communes, are encountered across most of Europe, Scribal abbreviations can be found in epigraphy and legal manuscripts, written in Latin or in a vulgar tongue, either calligraphically or not. These two forms of abbreviation are called suspensions, according to Trabe, these abbreviations are not really meant to lighten the burden of the scribe but rather to shroud in reverent obscurity the holiest words of the Christian religion. Still, when occasion required referring to three or four persons, the doubling of the final consonant yielded to the simple plural siglum. To that effect, a vinculum above a letter or a letter-set was so used, likewise the tilde, an undulated, curved-end line, came into standard late-medieval usage. An illuminated manuscript is a manuscript in which the text is supplemented with such decoration as initials and miniature illustrations. Comparable Far Eastern and Mesoamerican works are described as painted, islamic manuscripts may be referred to as illuminated, illustrated or painted, though using essentially the same techniques as Western works. This article covers the technical and economic history of the subject, for an art-historical account, the earliest surviving substantive illuminated manuscripts are from the period 400 to 600, produced in the Kingdom of the Ostrogoths and the Eastern Roman Empire. The significance of these works lies not only in their inherent artistic and historical value, had it not been for the monastic scribes of Late Antiquity, most literature of Greece and Rome would have perished in Europe. As it was, the patterns of textual survivals were shaped by their usefulness to the severely constricted literate group of Christians, the majority of surviving manuscripts are from the Middle Ages, although many survive from the Renaissance, along with a very limited number from Late Antiquity. The majority of manuscripts are of a religious nature. However, especially from the 13th century onward, a number of secular texts were illuminated. Most illuminated manuscripts were created as codices, which had superseded scrolls, a very few illuminated manuscript fragments survive on papyrus, which does not last nearly as long as vellum or parchment. 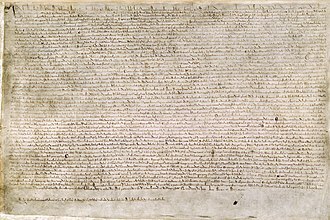 Most medieval manuscripts, illuminated or not, were written on parchment, beginning in the late Middle Ages manuscripts began to be produced on paper. Illuminated manuscripts continued to be produced in the early 16th century, Manuscripts are among the most common items to survive from the Middle Ages, many thousands survive. 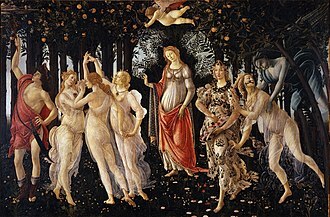 They are the best surviving specimens of medieval painting, for many areas and time periods, they are the only surviving examples of painting. There are a few examples from periods, the type of book that was most often heavily and richly illuminated, sometimes known as a display book, varied between periods. In the first millennium, these were most likely to be Gospel Books, such as the Lindisfarne Gospels, the Romanesque period saw the creation of many huge illuminated complete Bibles – one in Sweden requires three librarians to lift it. Langres is a commune in northeastern France. It is a subprefecture of the department of Haute-Marne, in the region of Grand Est, as the capital of the Romanized Gallic tribe the Lingones, it was called Andematunnum and now Langres. The town is built on a promontory of the same name. The 1st century Triumphal Gate and the many artefacts exhibited in the museums are witnesses to the Gallo-Roman town, after the period of invasions, the town prospered in the Middle Ages due, in part, to the growing political influence of its bishops. The diocese covered Champagne, the Duchy of Burgundy and Franche-Comté, the Bishop of Langres was a duke and peer of France. The Renaissance, which returned prosperity to the town, saw the construction of numerous fine civil, religious, in the 19th century, a Vauban citadel was added. Today Langres is a town with numerous art treasures within the ancient defensive walls surrounding the old city, including a dozen towers. The cathedral of Saint-Mammès is a late 12th-century structure dedicated to Mammes of Caesarea, Langres is home to producers of an AOC-protected cheese of the same name. 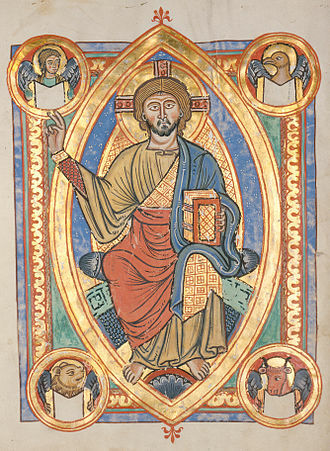 Christ Pantocrator seated in a capital "U" in an illuminated manuscript from the Badische Landesbibliothek, Germany. The Isaiah scroll, which is a part of the Dead Sea Scrolls, contains almost the whole Book of Isaiah. It dates from the 2nd century BCE. A Torah scroll recovered from Glockengasse Synagogue in Cologne. Aerial view. The Laurentian Library can be identified in the long row of windows above the cloister extending to the left of the picture. The taller structure with two rows of windows immediately to its right is the vestibule. Entries for Croydon and Cheam, Surrey, in Domesday Book (1086), as published using record type in 1783. The mechanical book handling system (MBHS) used to deliver requested books from stores to reading rooms. Traditio legis, or "transmission of the law," Christ as lawgiver, mosaic, Basilica of San Lorenzo, Milan, 4th century, includes a scroll box at Christ's feet. Jacob Jordaens, The Four Evangelists, 1625–1630. 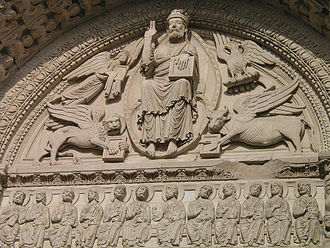 The four winged creatures that symbolise the Four Evangelists surround Christ in Majesty on the Romanesque tympanum of the Church of St. Trophime in Arles. 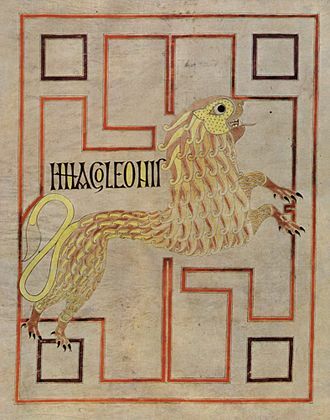 The lion symbol of St. Mark from the Echternach Gospels, here without wings. The "Golden psalter" open to Psalm 51(52), Quid gloriaris in malitia, qui potens es in iniquitate? Ramsey Psalter, start of Psalm 101/2, "Domine exaudi orationem meam et clamor meus ad te veniat..."
In the strictest definition of illuminated manuscript, only manuscripts with gold or silver, like this miniature of Christ in Majesty from the Aberdeen Bestiary (folio 4v), would be considered illuminated. This page (folio 292r) of the Book of Kells contains the lavishly decorated text that opens the Gospel of John. The London Canon Tables are two folios from a Byzantine manuscript of the 6th or 7th century, showing the typical arcaded frame. One of the canon tables from the 8th century Codex Beneventanus. Canon table from the Book of Kells; the tables in the book were effectively unusable, as they were over-condensed and the corresponding sections were not marked in the main text. This is either because it is unfinished, or because it was a display book not meant for study. An Armenian illuminated mansuscript of a canon table by Toros Roslin (active 1256 - 1268) entitled Canon Table Page. A List of Total Line Counts for Christian Texts: The title is 'Versus Scribturarum Sanctarum' or 'Lines of Holy Scriptures.' The second line says 'Genesis Versus IIIId' or 'Genesis Lines 4500.' The third line says 'Exodus Versus IIIdcc (= 3700). From the Codex Claromontanus (5th or 6th century CE), Leaf 467v, National Library, Paris, France. Charles Graux (1852--1882): French classicist and palaeographer. His discovery of the standard line launched the rigorous, modern study of stichometry. Partial stichometry in Plato: The lambda in the margin means 'line 1100' since lambda is the eleventh letter in the Greek alphabet. The Greeks used letters of the alphabet for numerals but decorated them to distinguish them from ordinary letters, here with a two bars and two dots. The same stichometric notations appear in another Plato manuscript and they probably derive from an early edition. Clarke Codex of Plato's Dialogues, copied in 895 CE, Bodleian Library, Oxford University, leaf 210v, detail. Saint Benedict orders Saint Maurus to the rescue of Saint Placidus, by Fra Filippo Lippi, 1445 A.D.
St. Jerome in His Study (1480), by Domenico Ghirlandaio. 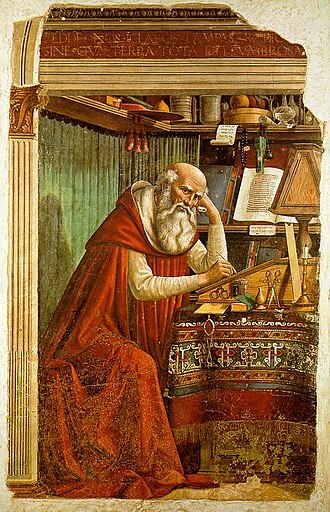 This painting by Antonio da Fabriano II, depicts Saint Jerome working in his study. The writing implements, scrolls, and manuscripts testify to Jerome's scholarly pursuits. The Walters Art Museum. 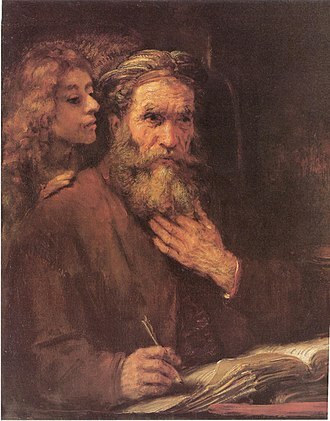 Evangelist Mathäus und der Engel, by Rembrandt. Papyrus Bodmer VIII, at the Biblioteca Apostolica Vaticana, showing 1 and 2 Peter. 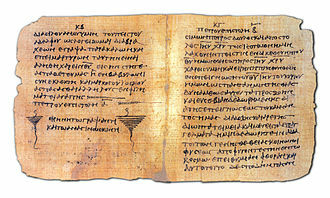 The Codex Regius (L or 019), an 8th-century Greek manuscript of the New Testament with strong affinities to Codex Vaticanus. Monte Cassino in ruins after Allied bombing in February 1944. 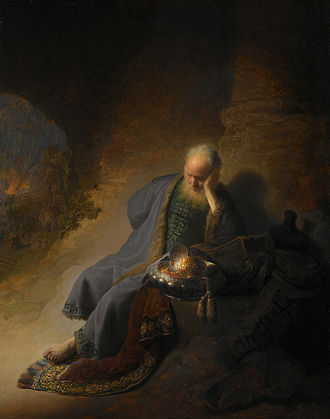 Rembrandt, Jeremiah Lamenting the Destruction of Jerusalem, c. 1630. 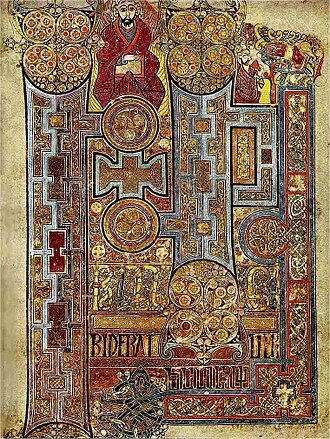 The Book of Kells, c. AD 800, is lettered in a script known as "insular majuscule", a variety of uncial script that originated in Ireland. 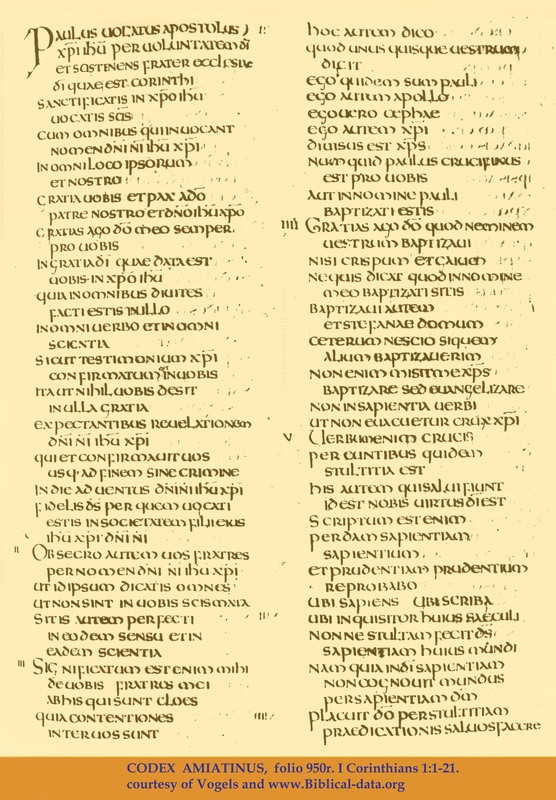 A portion of the Codex Sinaiticus, in Byzantine uncial, containing Esther 2:3–8. Ernst Josephson, David and Saul, 1878. David and Bathsheba, by Artemisia Gentileschi. David is seen in the background, standing on a balcony. Hannah presenting Samuel to Eli, by Jan Victors, 1645. Remains of St Paul's Monastery. Jarrow, where Ceolfrid was Abbot. Portrait of Ezra from the Codex Amiatinus. A page from the Codex Amiatinus. 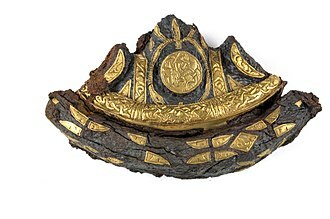 Sword pommel from the Bedale Hoard, inlaid with gold foil. Site traditionally described as the tomb of Ezra at Al-Uzayr near Basra, Iraq.